Good condition. Light scratches on the leather and interior is dusty. Has been worn countless times. 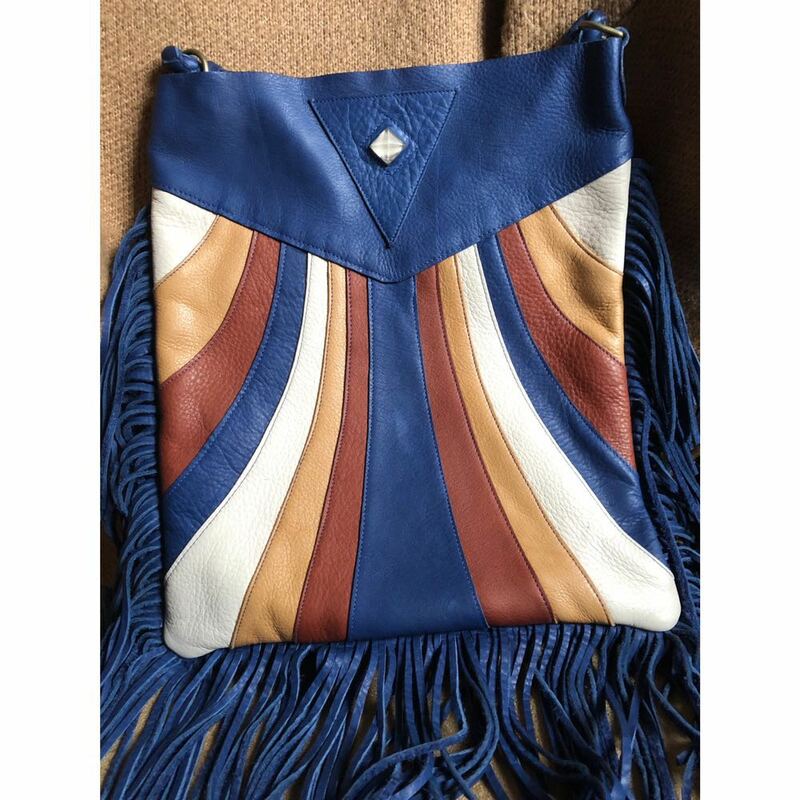 Very lightweight and soft leather, this beautiful bag is one-of-kind. Measures 10.5" W x 11.5" h.